Brushed Gold. This handcrafted ready made wood picture frame has a classic decorative profile embellished with fine relief detail, completed with distinctive ornate sculpted corners. 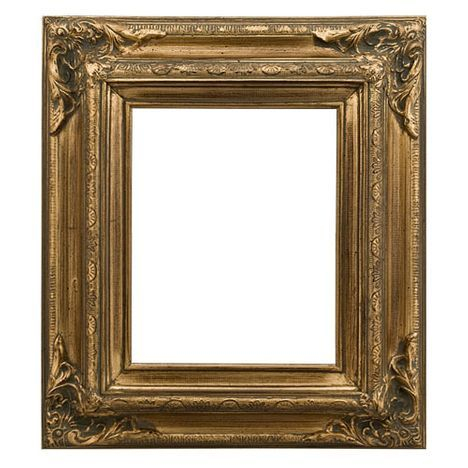 The finish of this bright gold frame is softened with a brushed antiquing effect. Choose a frame size. Shipping and handling is $16 only to US customers.